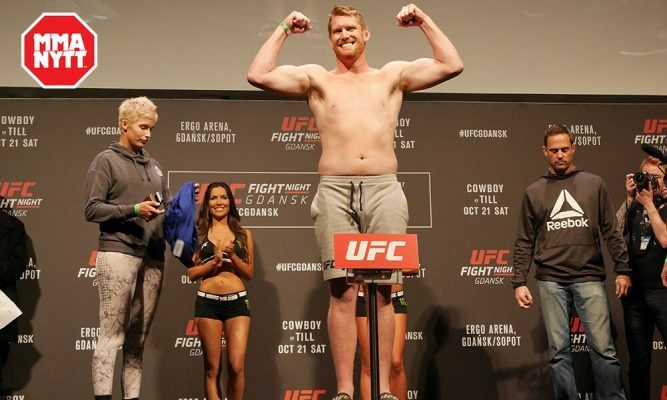 After the brutal weight cut and a performance that was not what we were used to seeing at UFC Fight Night 118 in Poland, MMAnytt asked Sam Alvey a couple of questions about the weight cutting and recovery process. American UFC fighter Sam Alvey took the fight against relative unknown Ramazan Emeev on less than 10 days notice and did his best to make the weight. With 3 pounds left, the weight wasn’t coming off and he decided to weigh in heavy, which lead to him giving 20% of his purse to Emeev. Weight cutting and missing weight has been a common theme over the last few months, Kevin Lee missed weight on his first try for the fight against Tony Ferguson and Brazilian Daniel Lima looked like a walking corpse when his team carried him to the scale at Shooto in Japan. MMAnytt decided to ask Alvey a couple of questions to shed more light on weight cutting and the procedures behind it. – “Smile’n” Sam Alvey after UFC Gdansk. 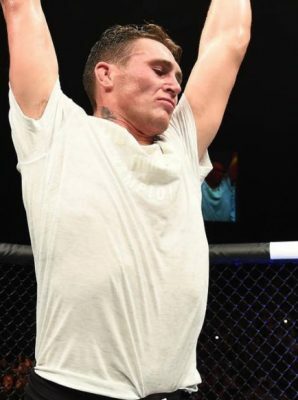 Q: Obviously you had a rough weight cut and the fight didn’t go your way. How are you feeling now a couple of days after the event? A: Physically I feel fine, mentally though it’s going to take some time. I’ve always been without weakness or limit and this experience showed me not only where my limit is, it showed me I have a limit. I don’t like that. Q: After the early weigh in you have around 36 hours to rehydrate and recover, is that enough time in your opinion? A: Absolutely. The early weigh ins are the greatest change mma has made since the introduction of the groin protection. Gives me plenty of time to rest, eat, and drink. I come out the other end feeling like a million bucks. Q: After a brutal weight cut like that, how do you recover? Do you have a specific routine of drinking/eating? A: I try to keep everything the same as usual. Sodium rich drinks first, followed by water, and plain rice cakes for the first few hours. After that I start eating whatever I feel like eating always finishing the day with pizza. Q: Back to the weight cutting, was the routine any different this time, because of the lack of time? Are you missing meals or just cutting carbs, or something else? A: The routine was the same just a week longer. My usual 4 days is set in stone and that stayed the same. This time I just started 6 days earlier. It was a severe cut in my calorie count and an increase in anaerobic exercise. Q: I read something on your Twitter about an adoption. Could you tell me a little bit more about that? A: My wife and I are adopting a child from Africa. We made the decision earlier this year and it is a long expensive process but we have been steadily moving forwards. We can’t wait to get our hands on our little bundle. Q: Could you divulge from what country in Africa you are adopting? A: I’m actually not at liberty to say. Lol, part of the process is not telling anyone what country. I can only say Africa. Thank you to Sam Alvey and good luck in your future fights!